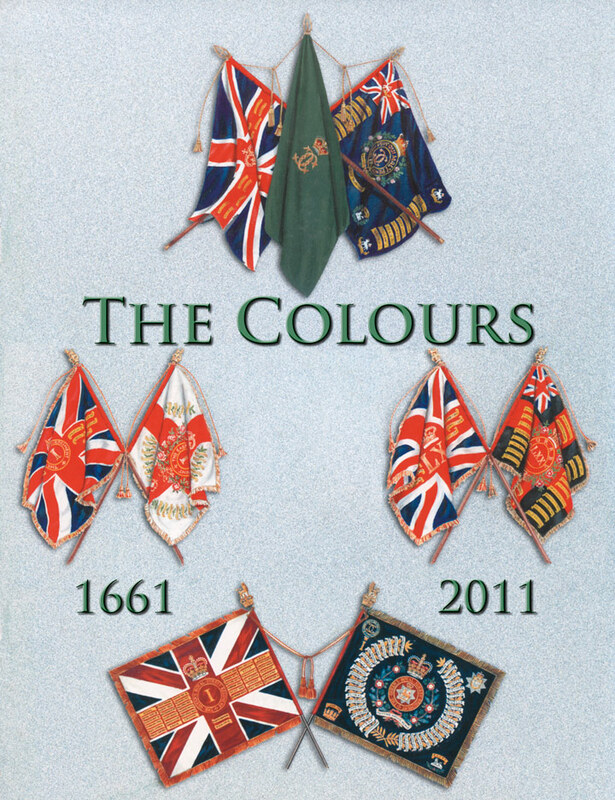 Top: The Colours of the 1st Bn The Queen's Royal Regiment 1847 - 1947. The Third or Colonels Colour in the centre has the cipher of King Charles II and Queen Catherine. Left: The Colours of the 1st Bn the East Surrey Regiment 1903 -1959. Right: The Colours of the 2nd Bn the East Surrey Regiment 1867 - 1945. Bottom: The Colours of the 1st Bn the Queen's Royal Surrey Regiment 1959 - 1974. 1st Battalion The Queen’s Royal Surrey Regiment.